Gourmet bamboo 2-piece serving tray. 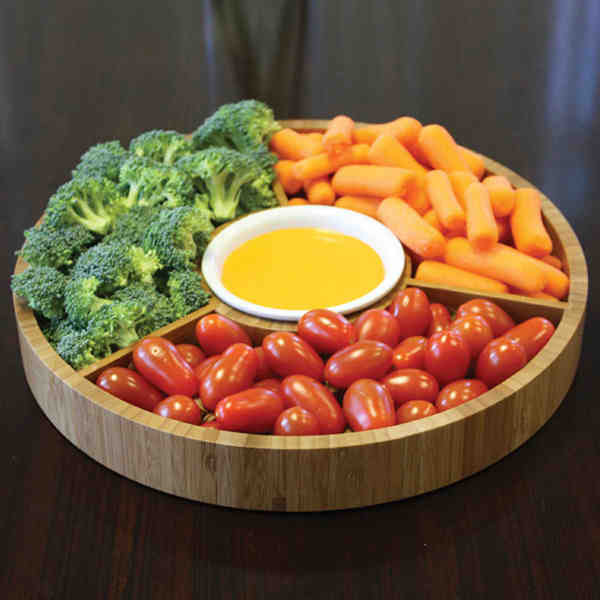 3-section, 12" round bamboo tray to accommodate your favorite foods. Ceramic bowl included to serve your favorite sauces or dips. Made with eco-friendly and environmentally sustainable bamboo. Size: 1 3/4 " x 12 "
Ship Weight:14 lbs, 14 lbs per carton of 6 pieces.